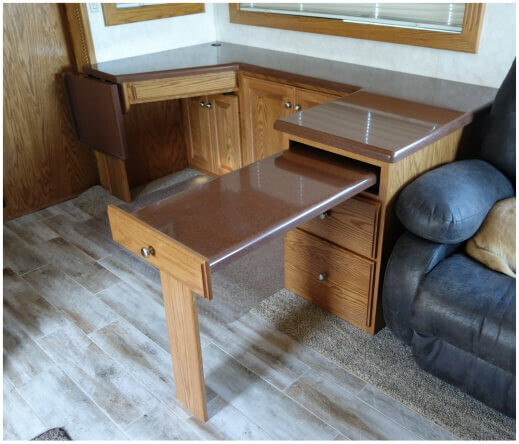 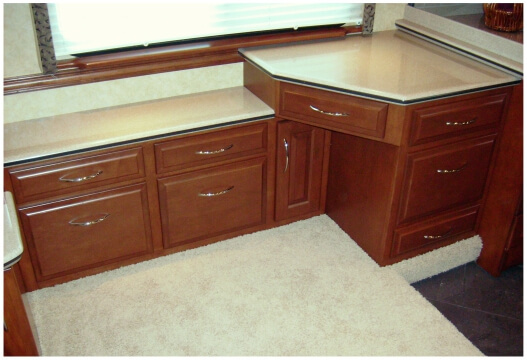 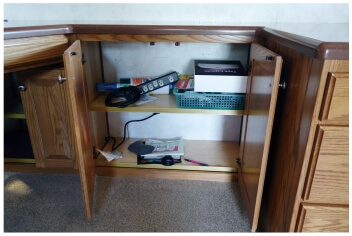 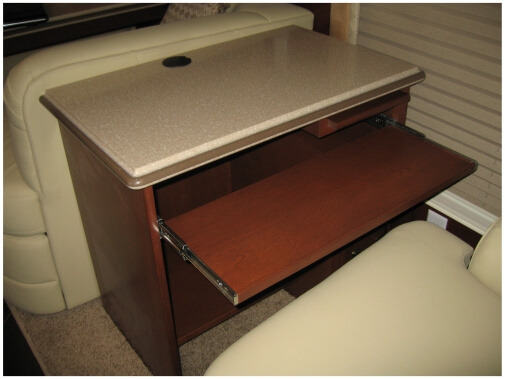 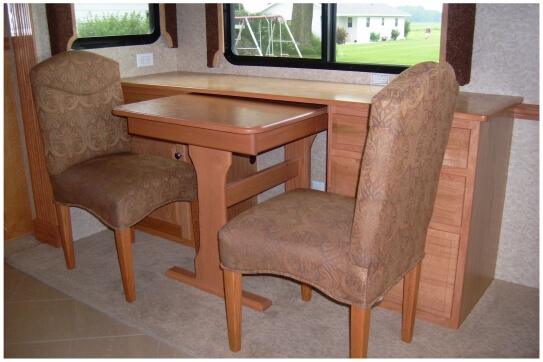 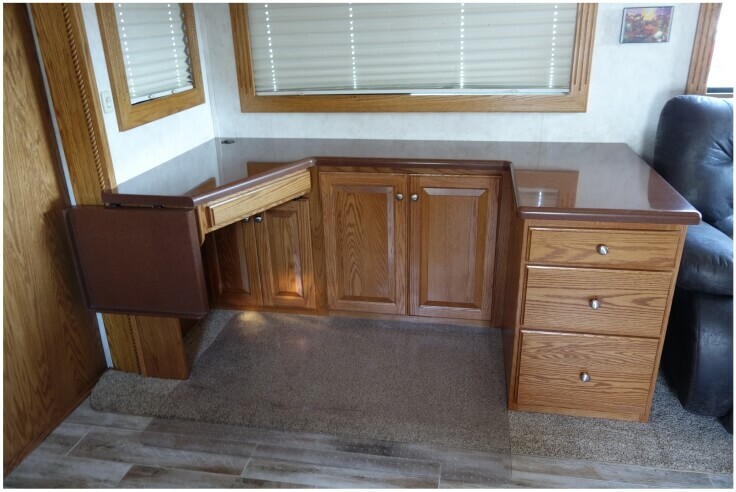 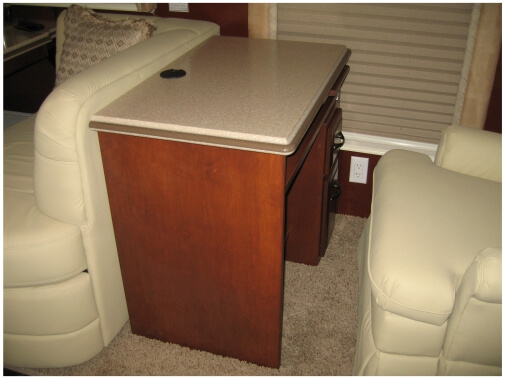 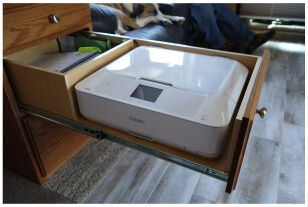 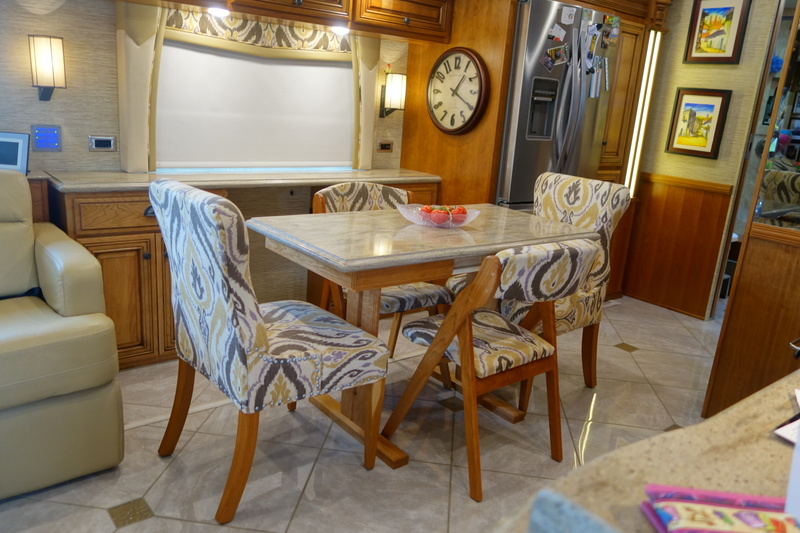 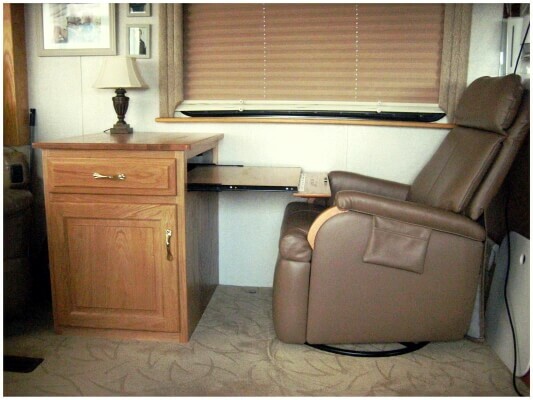 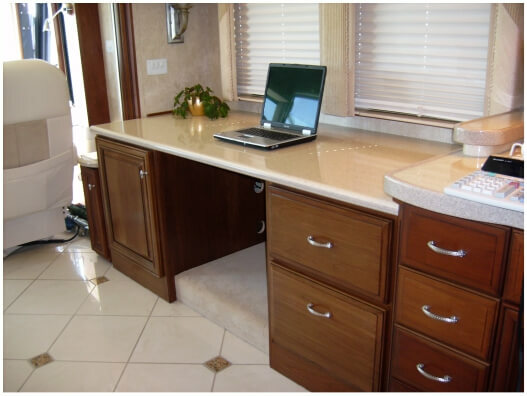 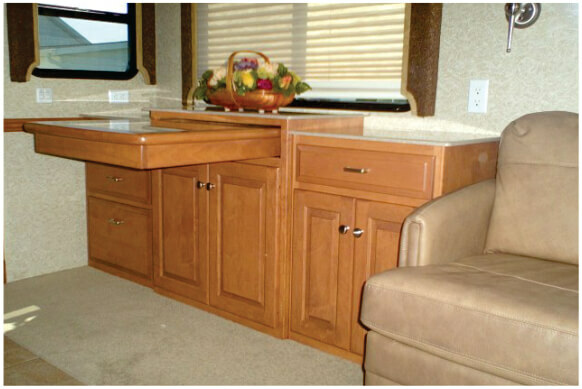 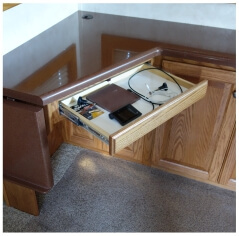 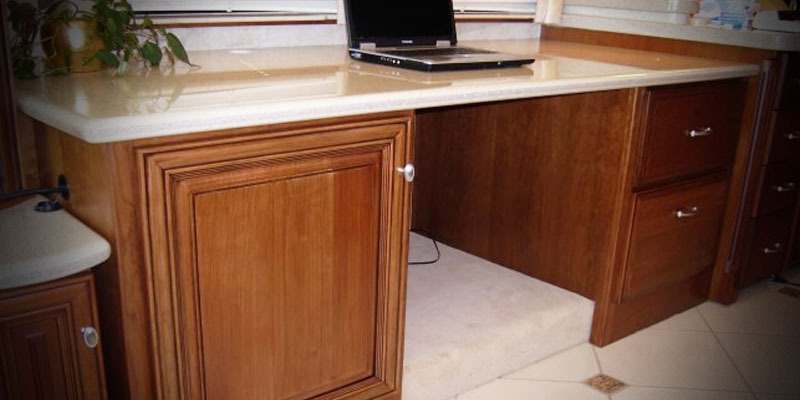 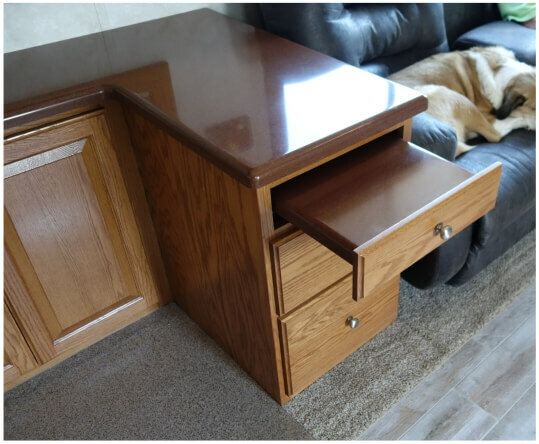 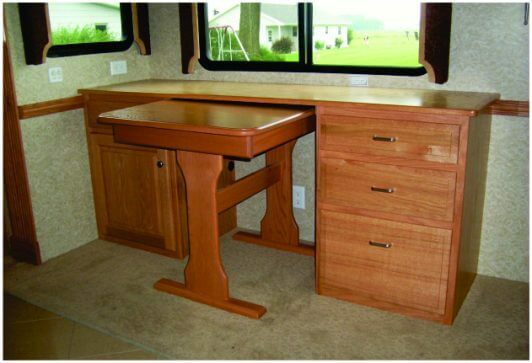 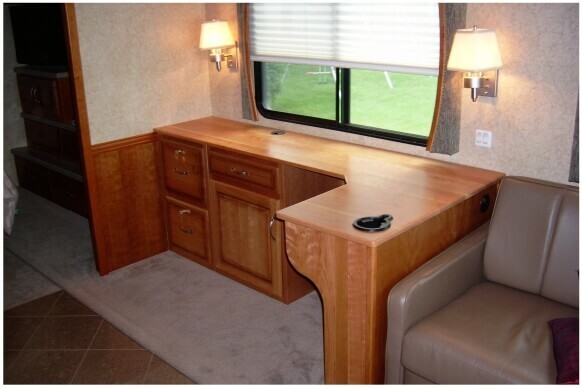 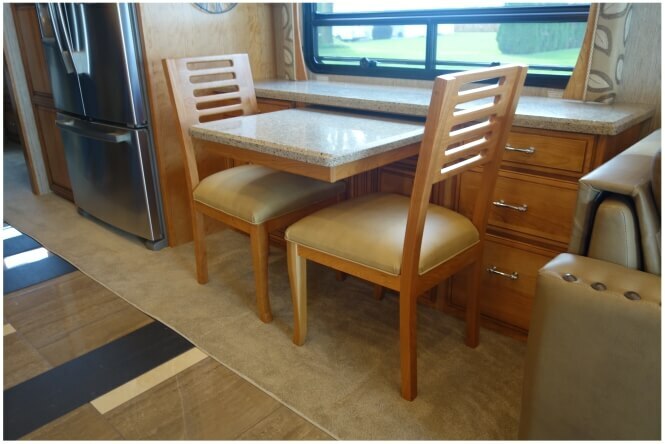 The computer desk has become a necessity for the RV lifestyle. 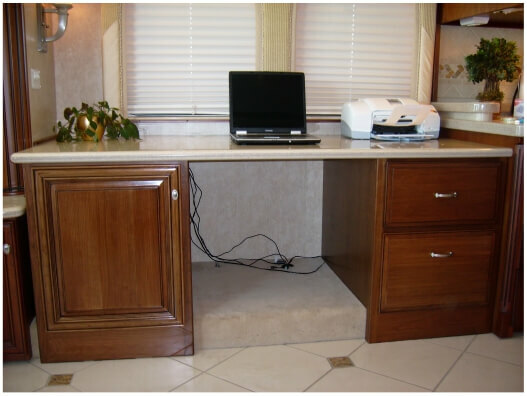 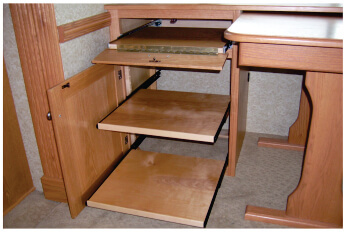 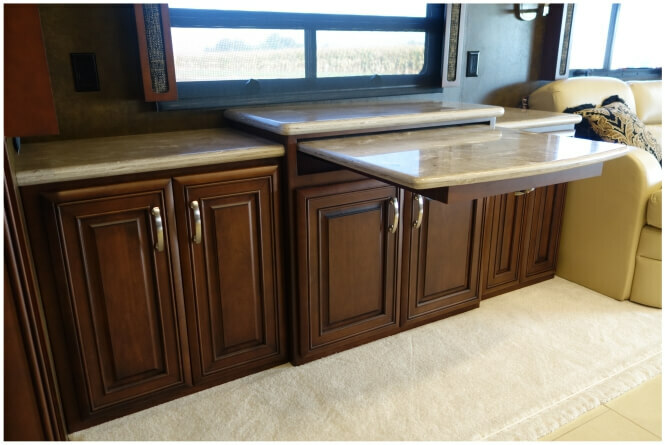 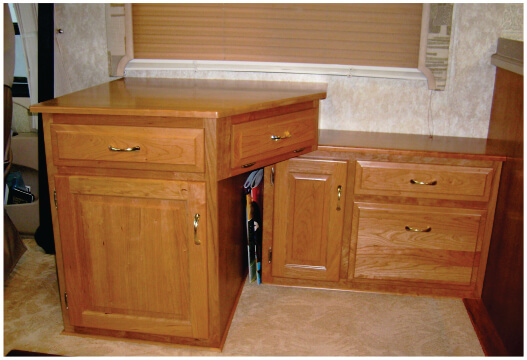 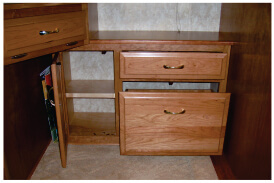 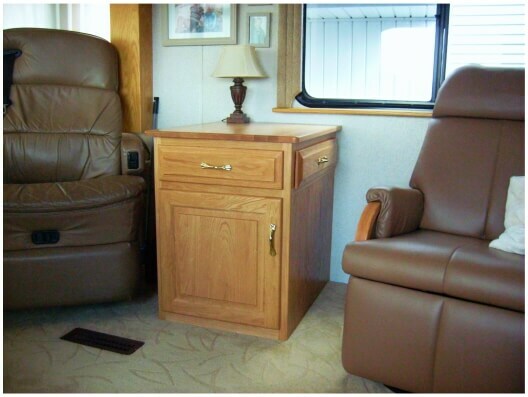 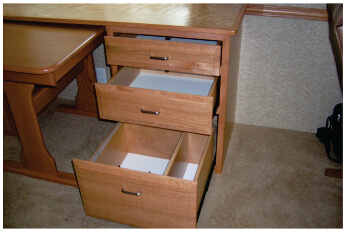 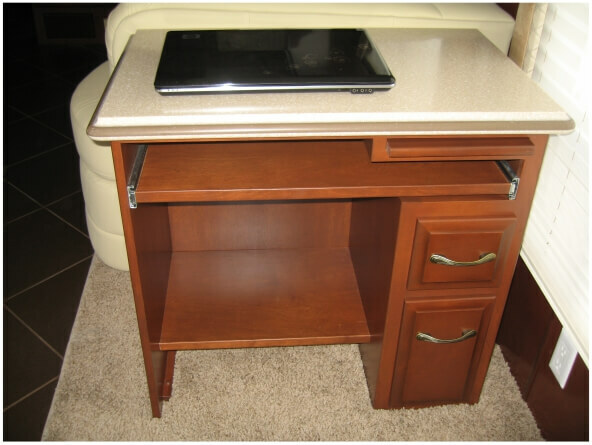 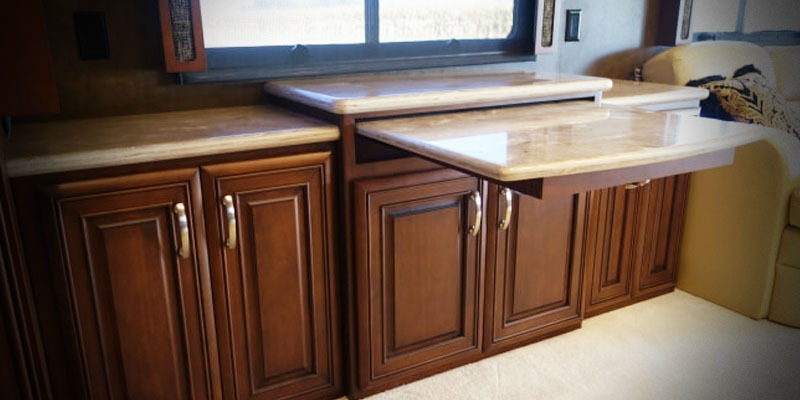 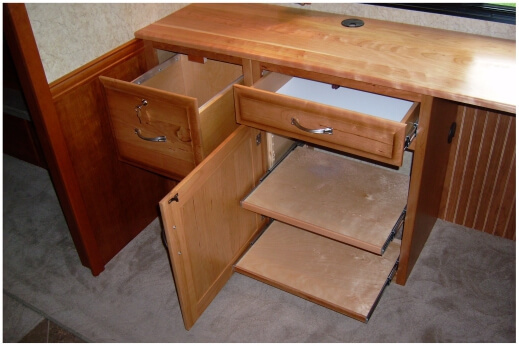 Whether you work from your RV or just need a desk for organization or maybe you just need extra storage, we have got the answer for you. 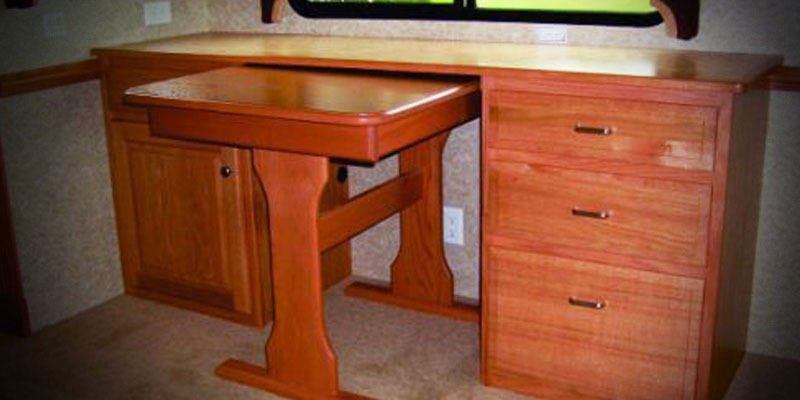 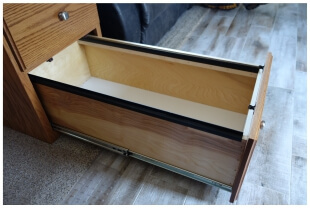 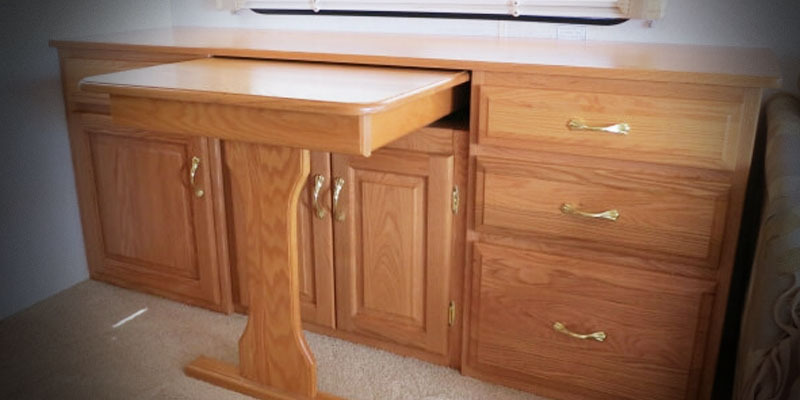 Our desks are custom built for whatever needs you may have. 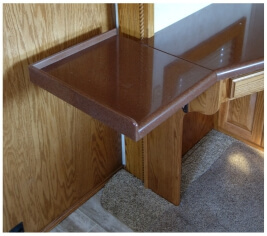 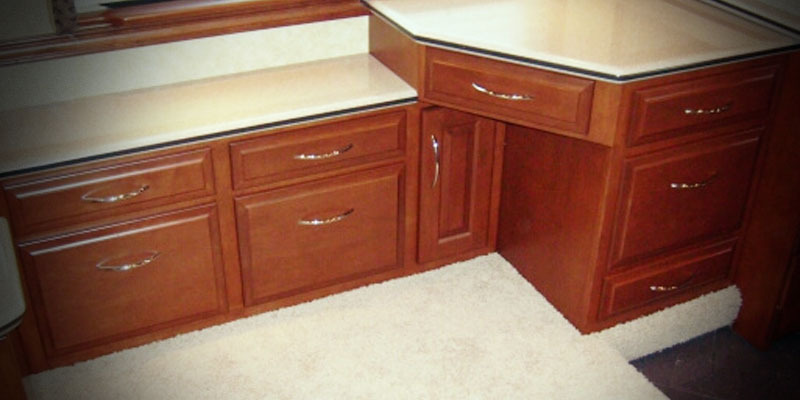 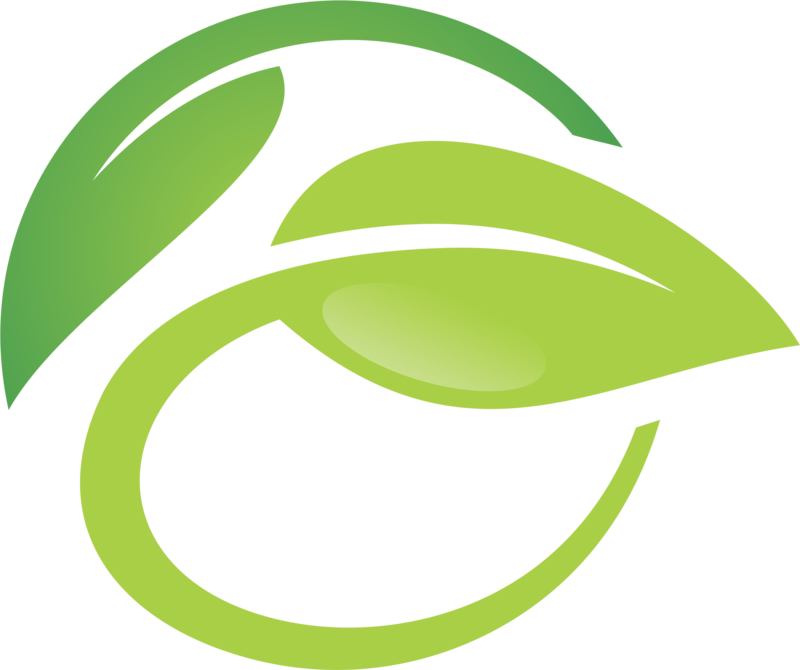 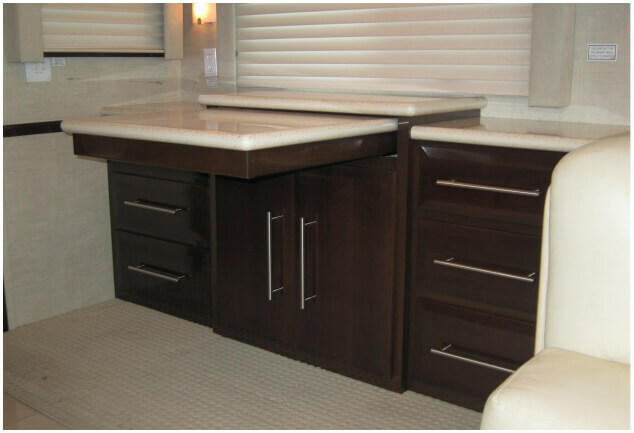 Tops are available in solid hardwood or beautiful, durable Corian and Granite. 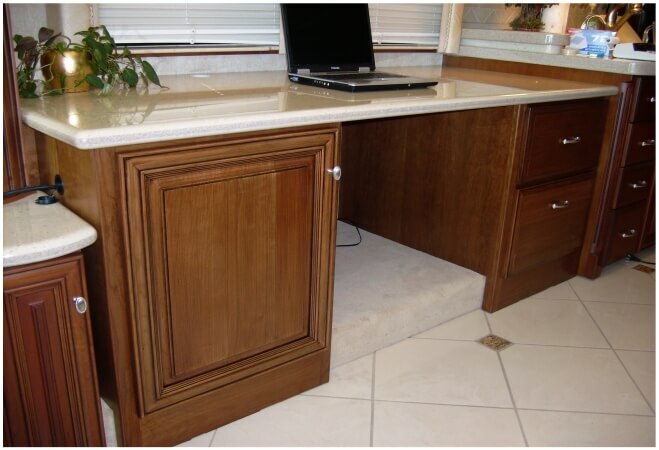 As you can see in the photos we have done extensive variations of the desk and we are only limited by your imagination. 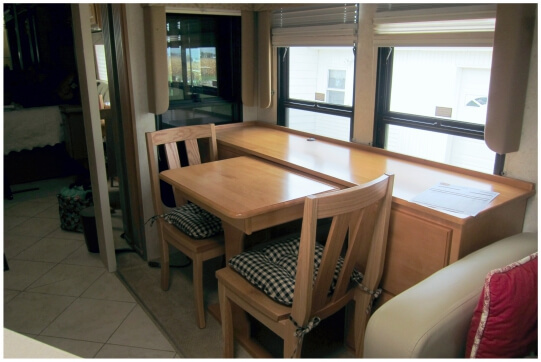 Tell us what you want and we'll make your dreams come true!